Whether you want to own the whole world, or just your corner of it, MailCo is here to help pave your pathway to success. From the largest Insurance Marketing Groups to the individual producer with a hometown office- MailCo Productions is here to help grow your business. Why struggle to find sales contacts? Our quality leads and fresh data could be available to you today! Or would you like to find out what your license is really worth? We have a huge customer network, including organizations that produce well over $100 million in premium sales annually. Take advantage of our network using our A g e n t R e f e r r a l S e r v i c e s.
Find out what your license is really worth. Prospects - enabling you to contact people interested in your product and eliminate cold calls by using respondent leads! Innovation- our comprehensive lead program is diverse and employs the latest technological advancements to give you a competitive edge. P A I D ! MailCo Productions was established in 1994 to provide data compilation and lead generation resources to local NC producers. The business quickly grew as word spread about the quality and integrity of MailCo Leads. 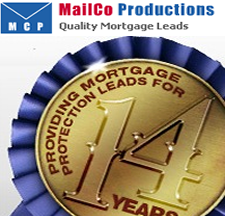 Now, in just a few short years, MailCo Productions has grown to be one of the industry’s premier lead generation companies. Our success has been attributed to building a solid reputation for providing quality leads and data throughout the United States. Customers using our services benefit from the use of cutting-edge technology to download leads within hours, sometimes within moments, of the response receipt. MailCo Productions is not satisfied with the status quo. We continue to explore new avenues of lead generation, data storage and use of new technology to keep our clients at the top of their game.